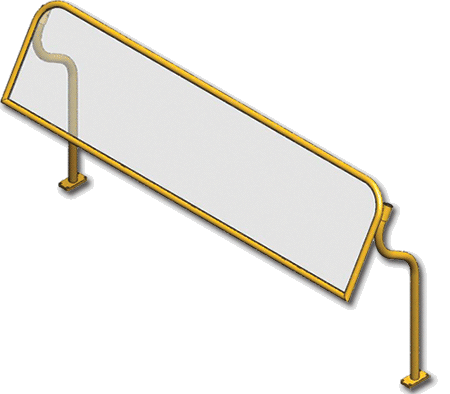 Sneezeguard Solutions ® Mid Mount sneeze guard allows for selection of the appropriate mounting location on the counter and provides unobstructed access to the food by the patron. The Mid Mount Sneeze guard comes in standard two, three, four, five, six, and eight foot models. When ordering Rich Gold change the last digit to 2 for color selection.